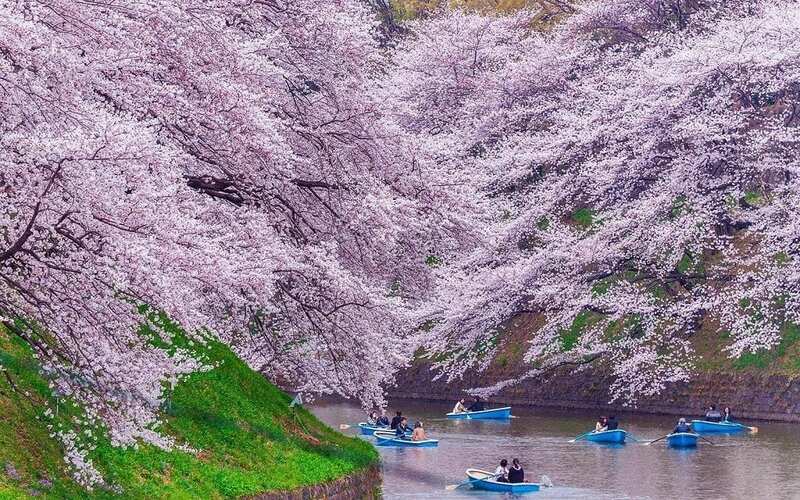 The Cherry Blossom or sakura is one of Japan’s top highlights every year when locals and visitors gather to admire the stunning, blooming cherry trees in parks and streets. 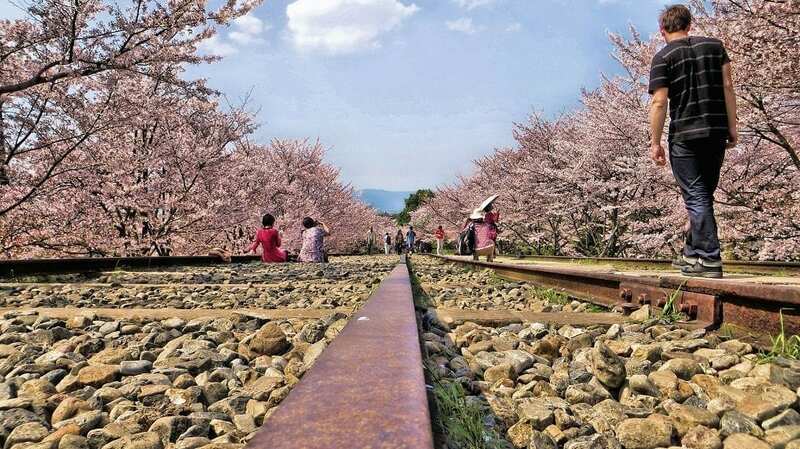 The entire 3,000-km-long country turns topsy-turvy with lots of hanami or flower viewing picnics taking place underneath the spectacular cherry trees. This explosion of colour is a true national treasure in the country and is the pride of every Japanese. 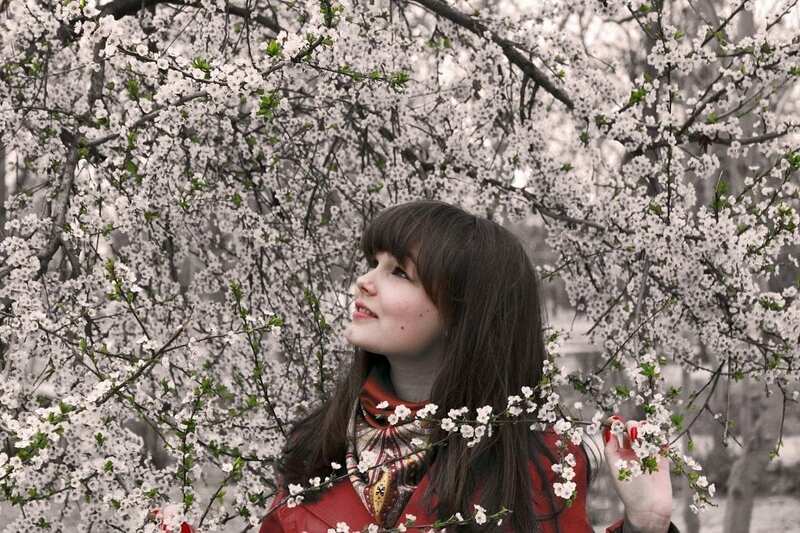 The red and white flowers during the famous Cherry Blossom come in different varieties. There is the Japanese Flowering Cherry as well as the Yoshino Cherry. But also other fruit trees are well worth viewing such as the blooming apricot, prune and plum trees. The fact that you can not only admire different kinds of trees but also many varieties of each kind, is quite special. The sakura or Cherry Blossom is the pride of every Japanese. The Japanese have a special bond with nature in which they recognise an analogy with human life. 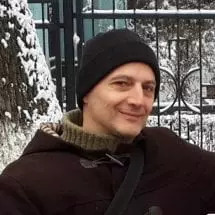 The awakening of nature in spring, the power of nature in summer, the approaching decline in autumn and the eventual and inescapable death in winter. 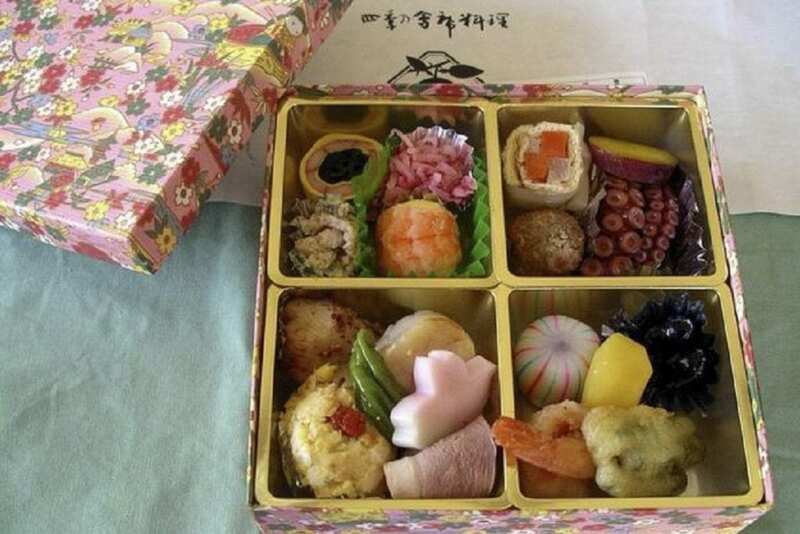 Join Mark Bibby Jackson on his Japan Travel mindfulness trip: Glamping, Zip-cords and Samurai. Flowers play an important role in this symbolism and often have a religious meaning assigned to them, like the lotus flower in Buddhism and the art of ikebana or flower arrangement, also with Buddhist origins. When travelling through Japan, you will see lots of images of flowers – in paintings, on kimonos, and even on coats of arms of important families like the chrysanthemum of the powerful, historical Tokugawa clan who once ruled Japan. 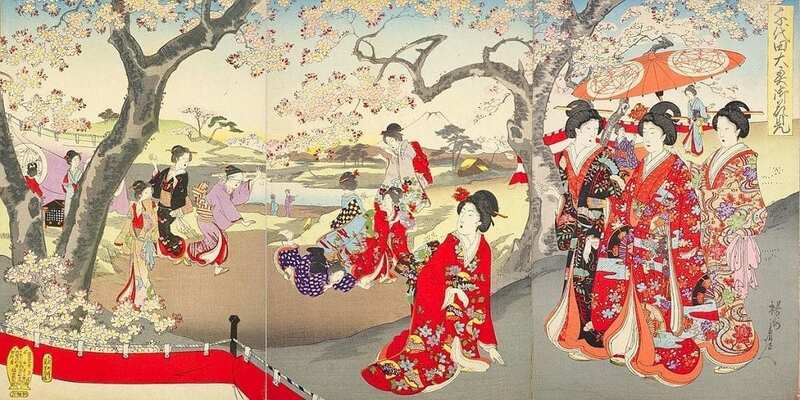 Ladies in the Edo palace enjoying cherry blossoms, Toyohara Chikanobu (1894). Throughout the centuries, the Cherry Blossom played an important role in this cultural bond with nature. In Japanese, the cherry trees and their blossoms are called sakura, while hanami means flower viewing which usually refers to the sakura or cherry trees, but also to the ume or plum trees. It’s as if after a long and cold winter, earth has compressed all of its energy inside the Cherry Blossom’s spectacular explosion of colour and splendour. But no matter how intense and glorious the blossom, it is, like life itself, of short duration. The eventual scattering of the flower petals signifies the end of life. For more events in Japan, have a look at our roundup of Japan winter festivals: naked men and sake. Not only Buddhism but Confucianism too has added meaning to the Cherry Blossom. Its philosophy states that, just like not all trees and flowers bloom with equal splendour, each human has to content herself with what nature has bestowed upon her. Like life itself, the Cherry Blossom is fleeting. But the Cherry Blossom has also other, more worldly meanings. It signals new beginnings such as the new school year for kids and the start of the new financial year on 1 April. In addition, the beautiful and meaningful Cherry Blossom hasn’t escaped a commercial influence where supermarkets and shops in Japan decorate their displays with plastic cherry flowers, similar to Christmas decorations in the west. 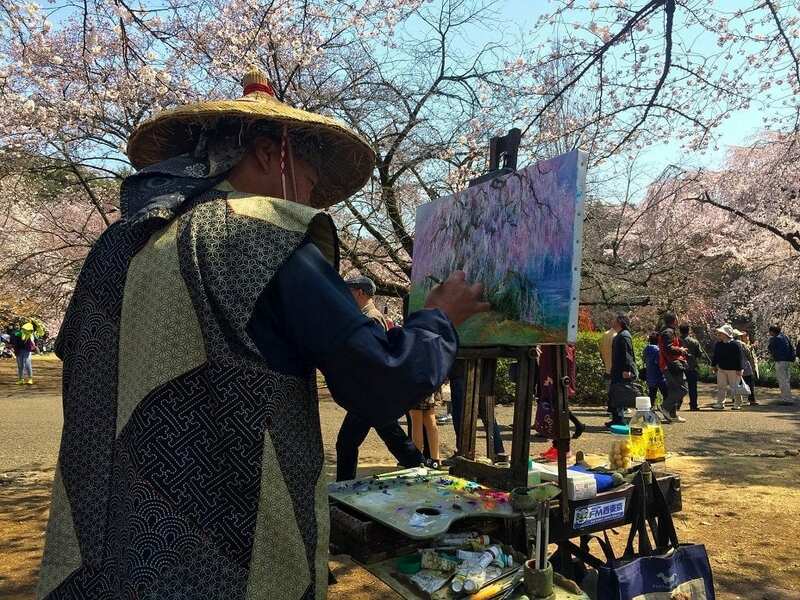 If you are travelling to Japan specifically to enjoy the Cherry Blossom, you will need to exercise some patience and also require a bit of luck. It’s impossible to be precise as to when the trees will bloom as this depends on the weather. However, since 1951 Japanese meteorologists closely monitor the blooming of the cherry trees, and somehow typically for Japan, they use advanced technological systems and complex mathematical calculations to predict as precisely as possible the blooming times in different parts of the country. You’ll need some patience and luck when visiting Japan for the Cherry Blossom. Because of Japan’s large geography, the cherry trees don’t all bloom at the same time. Often the first bloom can be enjoyed already in January on the island of Okinawa, but as a rule of thumb, the sakura reaches the cities of Kyoto and Tokyo towards the end of March to the beginning of April. This period is called mankai or the peak during which most cherry trees bloom in Japan. Once they have started, most trees need about a week to reach full bloom. 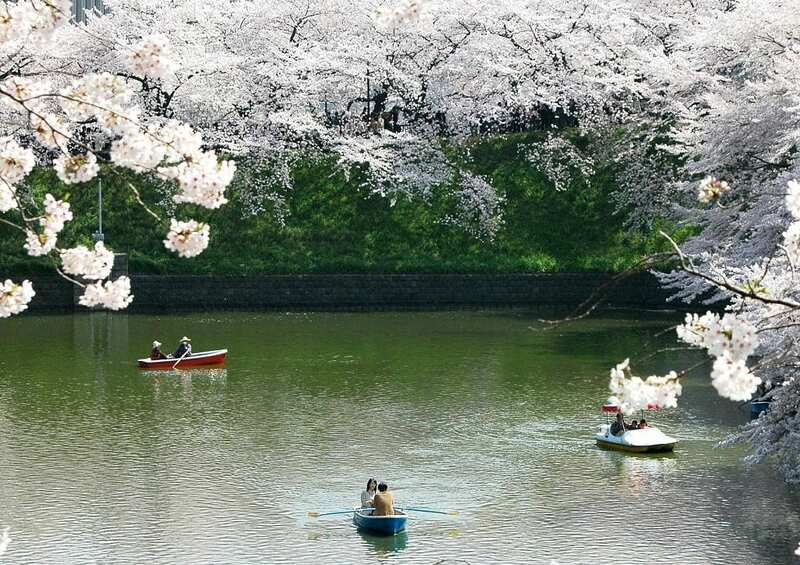 Check out the updates of the Japan National Tourism Organisation website to monitor the forecasts of the Cherry Blossom dates. Where to enjoy sakura in Japan? Goryokaku Fort Park in Hakodate on the island of Hokkaido: here the prune and cherry trees bloom at the same time. There are many trees surrounding Goryokaku, a famous fortress in Hokkaido which is one of the biggest in Japan. Timing: end of April to beginning of May. Ueno Park in Tokyo: with over 1,200 cherry trees, this park is one of the most popular spots in the capital for watching the Cherry Blossom. The festive ambience of the blooming trees is reinforced here by thousands of lanterns and different activities that are organised every year. The park is also home to a zoo and famous museums such as the Tokyo National Museum – which makes it also a busy place where you have to go early to secure a spot under the trees. A viable alternative is Tokyo’s Shinjuku Gyoen Park. Timing: end of March to end of April. Inokashira Park in Tokyo: if you want to escape the crowds of Ueno Park then Inokashira Park would be a good option. Here you’ll find a remarkable number of cherry trees in bloom, and you can also go boating to admire the trees from on the lake. Timing: end of March to mid April. Boating gives yet another perspective on the Cherry Blossom. Kanazawa: this is a city situated north-east of Tokyo and is home to Kenroku-en, one of Japan’s most beautiful gardens. Inside the garden is a geisha and samurai area where you can enjoy the cherry blossoms in true Japanese fashion. Compared to other locations, relatively few tourists visit here. Timing: last week of March to mid April. Kyoto: home to more than 1,600 temples, this former capital is one of Japan’s most popular places to watch the Cherry Blossom. There are many options here. Maruyama Park, the city’s biggest park, is known for its large cherry trees which are illuminated at night. Then there’s the famous Philosopher’s Path lined with hundreds of blooming cherry trees which runs alongside a canal from Ginkaku-ji Temple to the Wakaoji-jinja shrine. Another walking spot is alongside the Kamogawa River with its boulevard of cherry trees, while the walk past the Daigo-Ji Temple to the top of the hill is considered as the most beautiful one in the city. There’s a waterfall around the temple and a little island full of blooming trees. Alternatively, just sit down near an old geisha home in the Gion quarters and enjoy the Cherry Blossom in quiet. Timing: end of March to end of April. Mount Yoshino in Nara: this mountain is famous for its hills littered with cherry trees mixed with other trees. There are no less that 30,000 cherry trees, from the foot of the hills (Shimo-senbon) to halfway (Naka-senbon) and at the top (Oku-senbon). This is an ideal spot to walk and lose yourself amongst the many colours. You may even spot some wild deer on the way. Timing: entire month of April. Japan Mint in Osaka: this is a stretch alongside the old Odo River in Osaka. The cherry trees here have a remarkably exuberant bloom resulting in a true colour explosion. Alternatively, head to the Kema Sakuranomiya Park where 5,000 cherry trees are lined up alongside the Okawa River. Hire a boat here and admire the flowers from on the river. Finally, more than 4,000 cherry trees lend a festive ambience to the park around the Osaka Castle, which makes for an extraordinarily beautiful scene. Timing: mid to end of April. Enjoying the Cherry Blossom around Osaka Castle. Hirosaki Castle Park: Hirosaki, in the Tohoku region, is famous for its combination of Japanese architecture with the Cherry Blossom. It’s a special experience to take a walk amongst the cherry trees with the world-famous Hirosaki Castle for background. More than 2,600 trees bloom in over 50 flower varieties. They are some 200 years old and are still going strong. Timing: end of April to end of May. 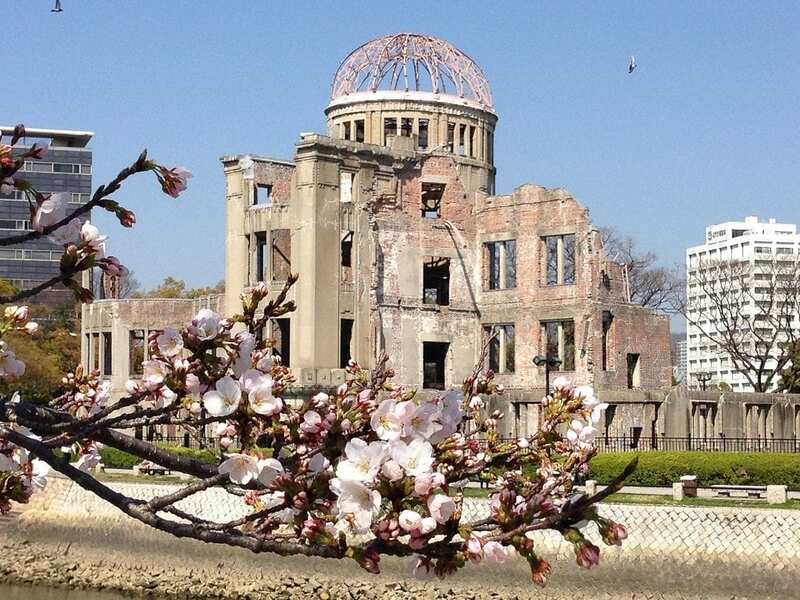 Hiroshima: is also a great place to admire the Cherry Blossom in its Peace Park where the 300 trees make for a striking contrast with the World War II monuments. Another popular place is Hijiyama Park where you have a good viewpoint over the city while its 1,300 cherry trees brighten up the day. Timing: last week of March to mid April. In Hiroshima sakura makes for a striking contrast with the war monuments. Okinawa: this island southwest of Tokyo is the first area in Japan where the Cherry Blossom begins. One of the best spots to admire it is at the castle ruins of Nakijin. Walk here through the tunnel formed by the cherry blossoms and lit lanterns. Timing: mid January to mid February. Nagoya Castle in Aichi: this castle is amongst the most beautiful ones in Japan, particularly during the Cherry Blossom when you see colour everywhere. 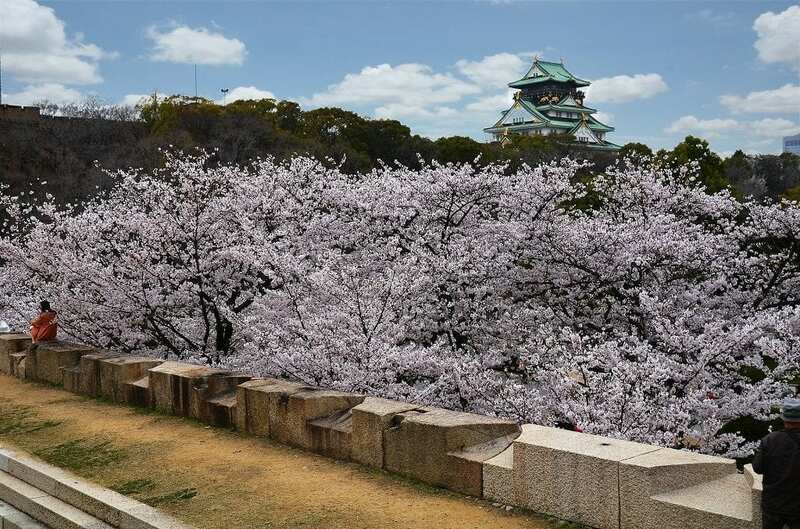 Nagoya Castle is remarkable also for its many varieties of cherry trees, some of which are very rare in Japan. At night many of the trees are illuminated. Timing: end of March to beginning of April. Kanunodate in Akita: Even though it contains only 150 cherry trees, the old Samurai dwellings in Kanunodate form a perfect background for the Cherry Blossom. Timing: end of April to end of May. 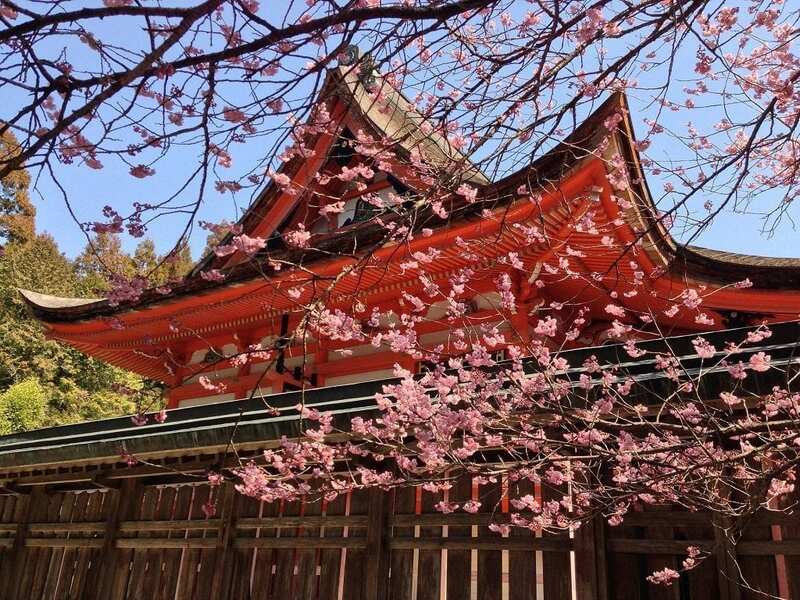 Historical buildings lend extra meaning to sakura. 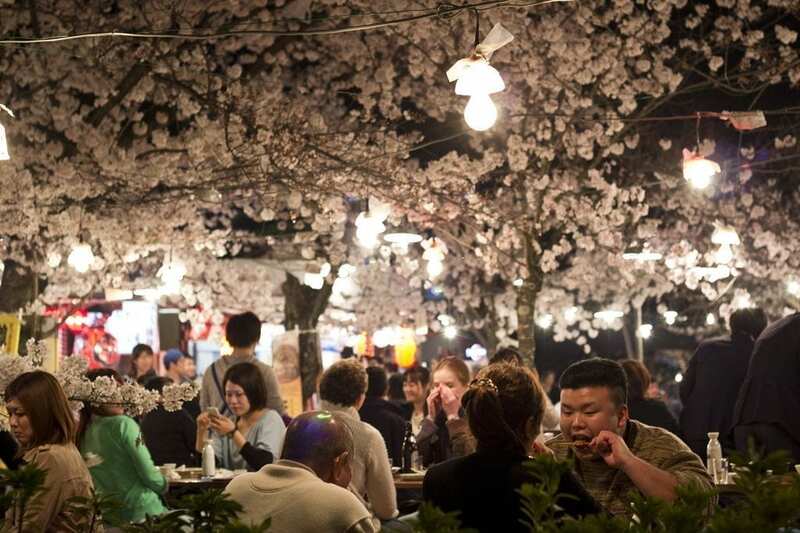 The Cherry Blossom experience is not limited to Japan but can be enjoyed in several other countries and territories, particularly in Taiwan, South Korea, China and the Philippines. Outside of Asia, a good sakura place is Branch Brook Park in New Jersey, Newark in the United States. It is home to over 5,000 cherry trees which makes it the largest collection in the country. As this is a popular time to visit Japan, make sure you book your accommodation in advance. Booking via our hotel booking portal will give you the best possible deals while it also supports this website. Visit the official Tourism Website of Japan.